Media in the US and Britain are not independent; they are part of the political elite in Washington and London, and their responsibility is to guide policy makers and shape public opinion, says Marcus Papadopoulos, publisher and editor of Politics First. Syria has appealed to the UN, claiming that 45 civilians were killed and 50 injured in US-led airstrikes outside the city of Manbij near Aleppo on Thursday. 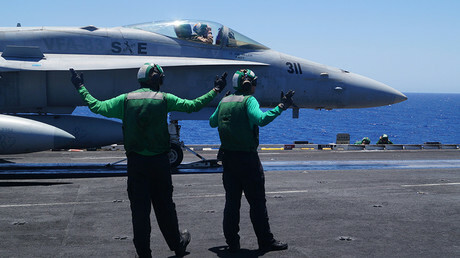 Following the strike, US Central Command (CENTCOM) admitted the airstrikes “may have resulted in civilian casualties,” but did not provide a figure, pending an investigation. 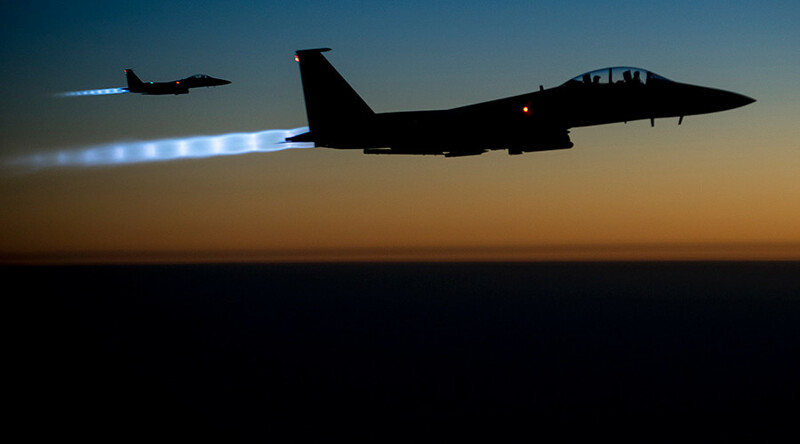 CENTCOM said the aerial strike had been aimed at hitting ISIS forces concentrated in Manjib. Meanwhile, Western media has been quiet about the alleged strikes that reportedly killed dozens of civilians. RT: Why do you think the western media is staying silent on the story, despite the large loss of civilian life? Marcus Papadopoulos: It’s very important for people to understand the relationship between Western governments and Western media. Media outlets in America and Britain are not independent; they are very much a part of the political elite in Washington and London. Their responsibility, their job, their duty is to guide policy makers in America and Britain, to influence them and then to gather domestic support behind American and British foreign policy objectives wherever they are in the world. Why has Western media barely reported on American strikes against civilians in Syria? Well, it’s very simple. Western media is there to do the PR job of the British and American governments. They are there to project America and Britain as beacons of civilization, as the protectors, the guardians of human rights and democracy… It is therefore no surprise that they are not going to cover what was a blatant massacre by the American air force of civilians in Syria. RT: Syria wants the UN to condemn U.S. coalition airstrikes - do you expect that to happen? James Kirby, the spokesperson for the State Department, had the audacity, the nerve, to say that of all the militaries in the world, the American military takes the most care when it comes to civilians in wartime. Well, the people of Hiroshima and Nagasaki might have something to say about that when Americans dropped atomic bombs there. The people of Vietnam might have something to say about that, given that the Americans dropped napalm there. The people of Serbia might have something to say about that when the Americans dropped depleted uranium shells there, causing massive increases in cancer. And of course the people of Afghanistan and northern Pakistan might have something to say about that, given the American drone wars there, which have killed thousands of civilians. So it is really laughable how the American and British governments present themselves, but unfortunately there will not be a change in the way Western media reports on these atrocities and let’s call a spade a spade: it was an atrocity that the Americans carried out in Syria, but it’s not going to be exposed because Western mainstream media are very much a part of the American and British political elites.